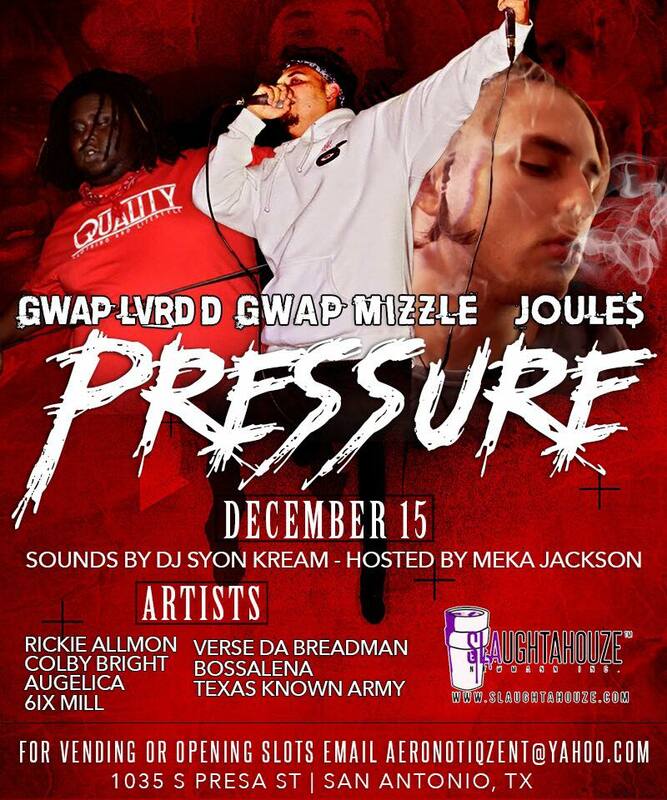 Gwap Mizzle, Gwap Lvrd D, Joules & many more live in San Antonio! Sounds by DJ Syon Kream, Hosted by Meka Jackson! Copyright © TicketGrind 2019. All rights reserved.